It's been a while since I last brought out the baking tins to play so after much procrastination, I finally took them out to have some fun. 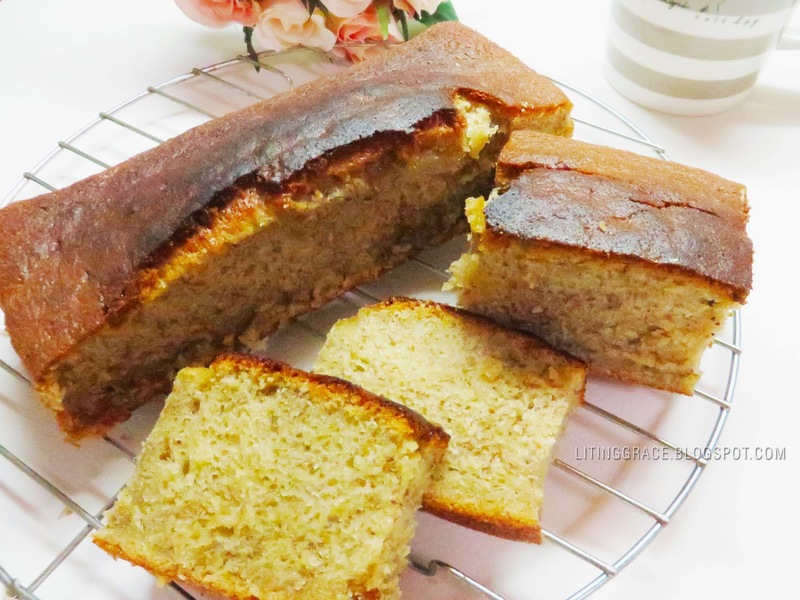 I was first introduced to the Banana Bread or Banana Cake (known outside US) earlier this year and it has now become one of my favorites. 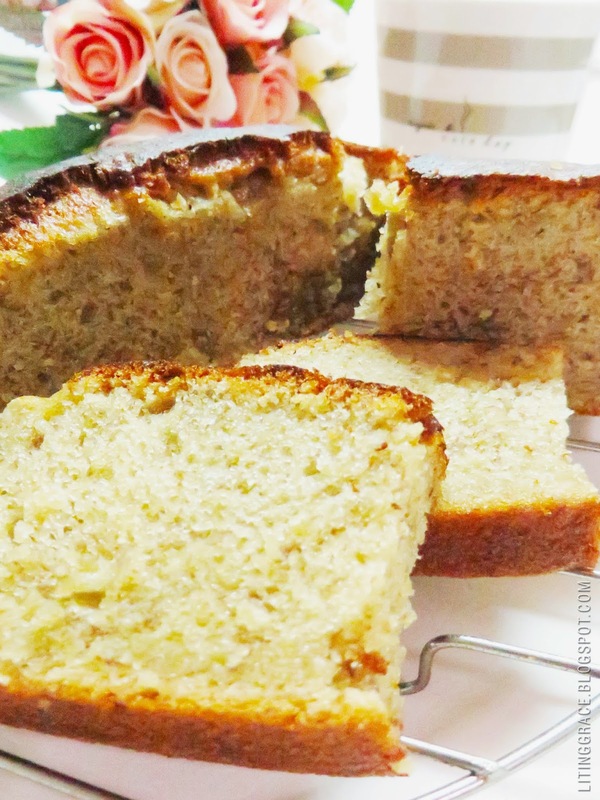 Since then I'd embarked on a quest to find the perfect banana bread but so far the ones that I've tasted are either too doughy or lacks the banana flavor. Which was why I then decided to bake my own banana recipe. 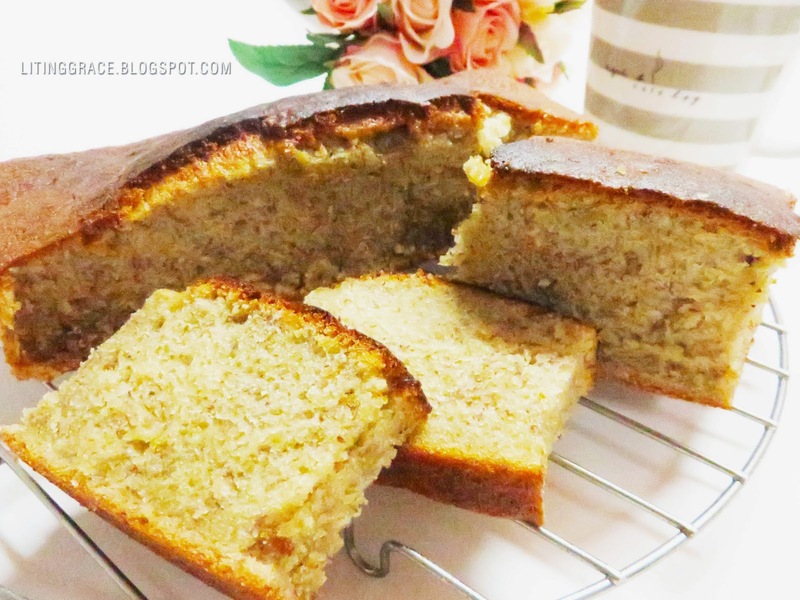 There are plenty of recipes online and after scouring through countless blogs, comparing and adjusting the various recipes, I finally got down to baking my first banana bread. Though it was my first attempt, I'm happy with the final result and can say that I have found the perfect banana bread recipe! Especially when Mummy Love, who has got really high expectations when it comes to cooking and baking gave her stamp of approval as well! Like I've always said, good things are meant to be shared, so here's the recipe. It's really easy to make, and it's a perfect way to use those old and over-riped bananas sitting on the kitchen counter. I would love to know if the recipe works for you or if you have better recipe, so do feel free to drop me a comment or email. 1. Line the loaf tins with baking paper and butter the sides and bottom generously. If you do not have any butter, you can oil with the sunflower oil as well. 2. Preheat the over to 165 degrees celsius, fan-forced or 180 degrees if you not using a fan-forced oven. 3. Whisk eggs and sugar until pale and thick, about 5 minutes at medium speed. 4. Add in the mashed up bananas and whisked till well combined. 5. Mix in the sifted ingredients until well-incorporated. 6. Drizzle in the sunflower oil and fold through the mixture until well-incorporated. 7. Fill the loaf tines about 3/4 full and bake for 30 to 35 minutes for the small loaf and 40 - 45 minutes for the large loaf. Allow it to cool slightly in the tin before removing it to cool on a cooling rack. **Baking times are indicative but every oven bakes differently, so do check on it at the 30 minute mark. 8. Serve warm with some honey and cheese or simply plain and unadorned. Keep in an air-tight container at room temperature for about 5 days but it's best to consume within a day or two.